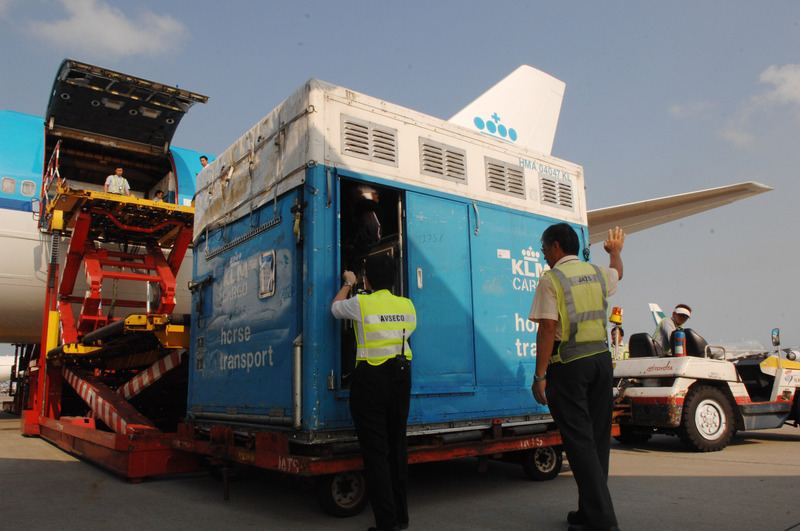 The World Rides in Hong Kong: The Horses Have Landed! Well, some of them, at least. The extremely efficient plan was to offload the horses from the jumbo jets and sprint them off to their stables faster than the human passengers could collect their bags and get through customs. 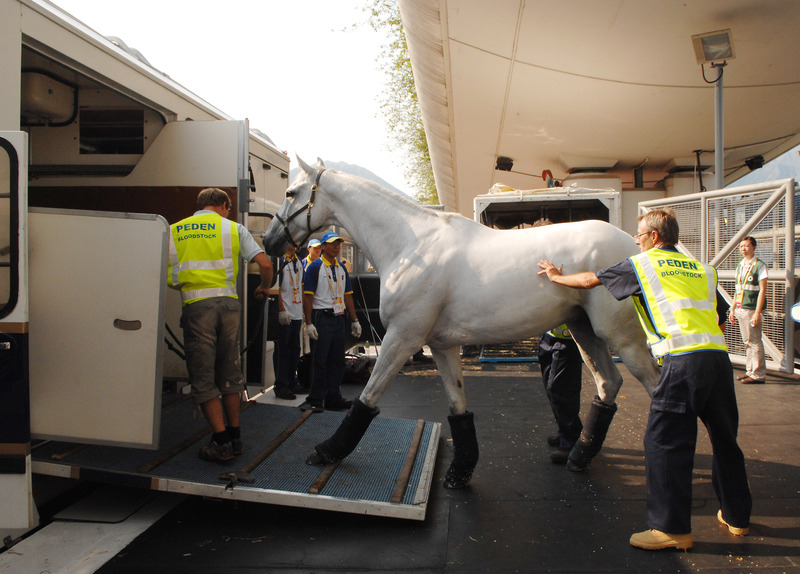 The horses would travel in air-conditioned vans with police escorts and support vans. And it all went according to plan, at least with the first group that arrived on Saturday! The fellow in khakis and a blue shirt helping the grey out of the van is the transport mastermind for Peden Bloodstock and the FEI, Martin Atock. It's interesting to note the transport legwear worn by each horse. And no coolers! The temperature in Hong Kong is....hot. It's a pretty big switch from Canada or Ireland or Sweden.